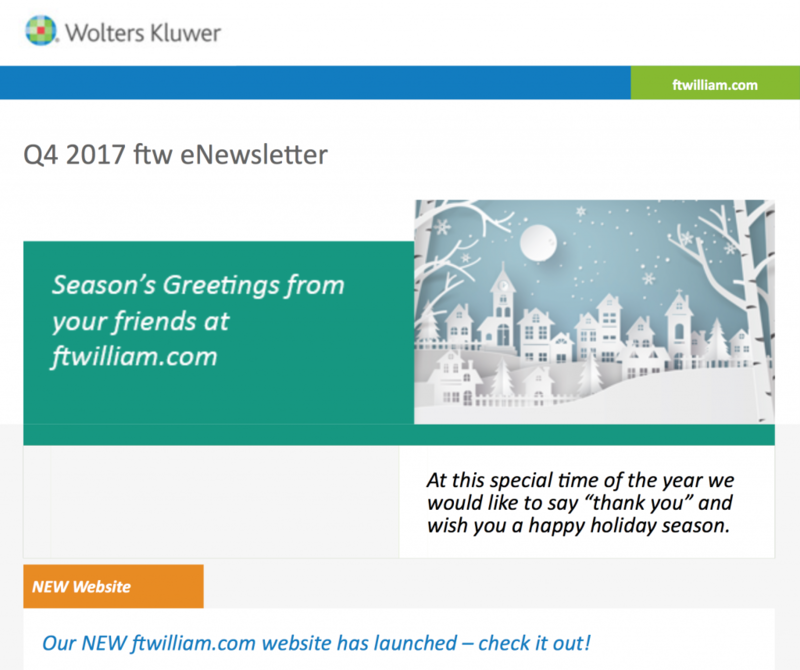 Season’s Greetings from your friends at ftwilliam.com. At this special time of the year we would like to say “thank you” and wish you a happy holiday season. Our NEW ftwilliam.com website has launched – check it out! As we wind down 2017, we are thrilled to announce the launch of our new ftwilliam.com website. The url is still the same: ftwilliam.com but the look and content have been fully refreshed.